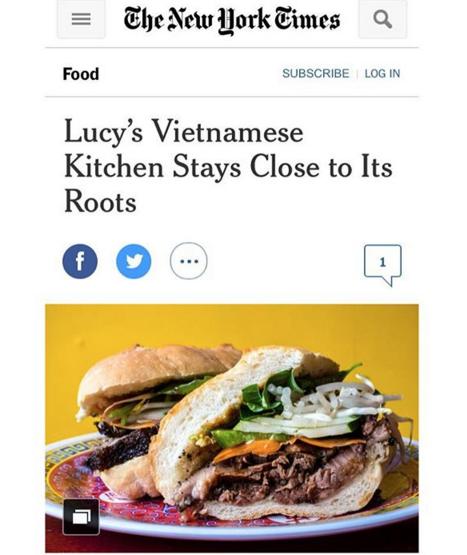 Lucy's Vietnamese Kitchen serves classic dishes inspired by the owners' families along with an edgy flare that reflects the adaptations of first generation cooks. Started by four friends, our goal is to complement the fast dining lifestyle by creating quality, healthy and delicious Vietnamese food with the freshest ingredients. Head Chef, Johnny Huynh, was raised in Bushwick by his grandmother, Lucy. 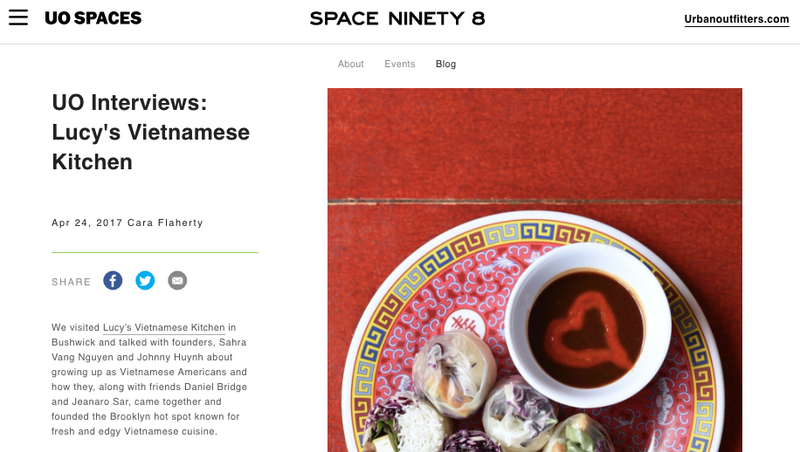 Now, he's bringing the same love and passion for Vietnamese food to the rest of the neighborhood. Welcome to Lucy's Vietnamese Kitchen. We've been featured in The New York Times, TimeOut New York, Thrillist, Zagat, Chopsticks + Marrow, Bushwick Daily, Bedford + Bowery, Epoch Times & VICE (premiering early 2016). In August 2015, we won 1st place for "Best Vietnamese Restaurant in NYC" by popular vote in the Epoch Times culinary contest, and also 2nd place for both "Best Banh Mi" and "Best Vietnamese Pho." Click any of the images below to read full article. Whether it's a company lunch, public event, musical festival, or private party, we're equipped to cater all types of dining experiences.